I just finished taking the North Carolina Bar Exam last week, which meant that for the past two months I spent almost every free moment outside of work studying. I also started wearing the Fitbit Force* in mid-December, and really focusing on health, working out 5-6 days a week, and monitoring my intake (ie trying to lose 10+ pounds). So, needless to say, I have not had time for anything fun. 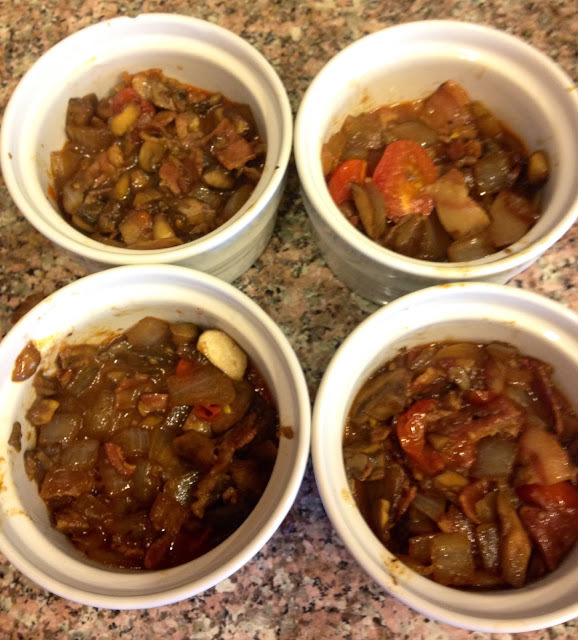 The weekend before the bar exam, I decided to fit in a quick and easy new experimental recipe. 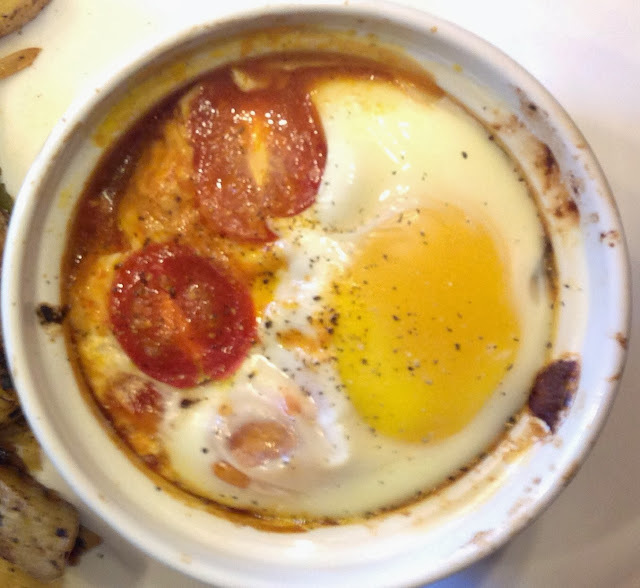 For the past year or so I’ve seen many recipes for baked eggs on Pinterest, and have had it on my list of things to try to make at home, and finally created my own version of it using the random items we had in our otherwise bare cabinets. 1. Roughly dice tomatoes, mushrooms, onion, and pancetta. 2. Saute onion, pancetta and garlic until the onions are translucent and the pancetta is lightly browned (about 3-5 minutes) over medium-high heat. 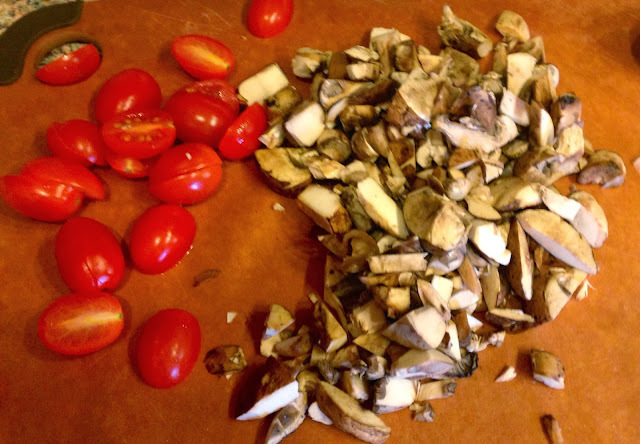 Add in the mushrooms and half of the tomatoes for the last minute. 3. 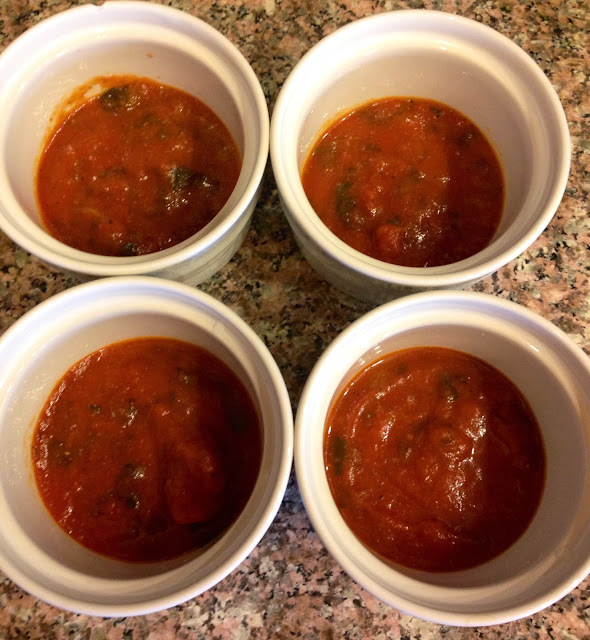 Start the layering process by placing 2 tablespoons of tomato sauce into each ramekin. 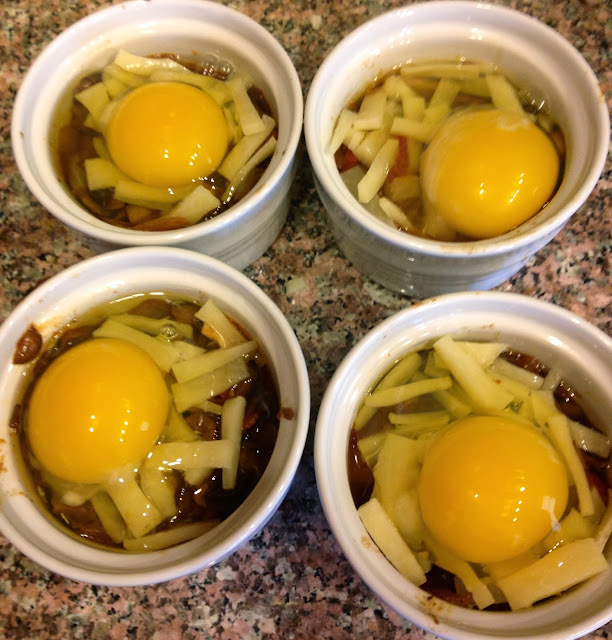 (You could cook this in one large baking dish, but I really liked the individual 7 ounce Le Creuset ramekins for this. It made the perfect individual serving and really allowed the flavors to meld without losing any one ingredient, or having the eggs cook together). 4. 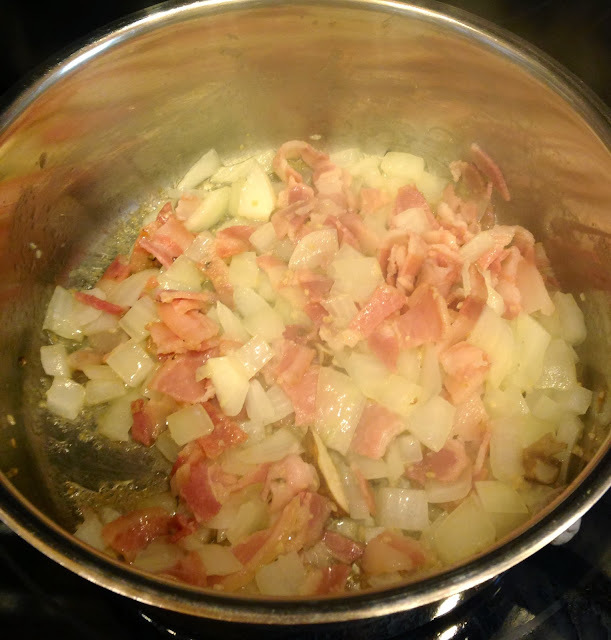 Next, spoon the pancetta/onion/tomato/mushroom mixture on top of the sauce. 5. 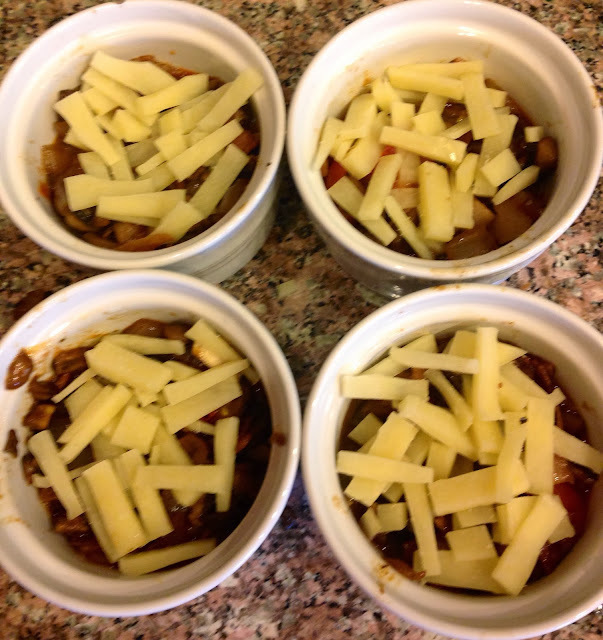 Add the diced cheese: 1/2 ounce into each dish. 7. Gently place two tomato halves on top/side of each egg, and then bake for 6-8 minutes, until the egg white is almost cooked. You’ll know it is ready when the juices from the tomato sauce and pancetta/veggie mixture start to bubble to the top. 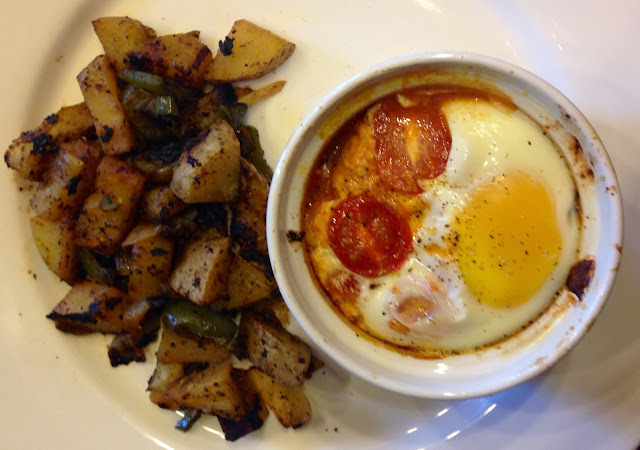 Serve with breakfast potatoes or toast and enjoy the results of your 15 minutes recipe!